Cameron Mckechnie was one of the the founding members of Art Software, New Zealand. 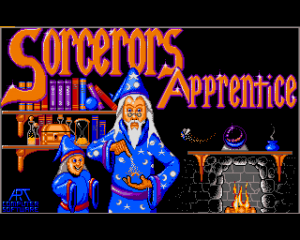 The group created several games for the Amiga computer in the late 1980s. McKechnie also worked on several unpublished games, many of which were shoot em ups. Titles include “Megaroids”, a top down 8 way shoot em up, and “Prophecy”, a platform fantasy game. He is still active and interested in game making, working on a few Ludum Dares, writing psychedelic text adventure games with hand drawn art and music. He has been active in the rave scene for two decades, and performs as Chaoslab with VJ / DJ / live performances.